CREAM PIES, BAD SERVICE, AND OCCASIONAL RECOVERY…WHAT’LL IT BE? On the highway from Anchorage to Wrangell-St.Elias National Park, there is a small restaurant half way to the Richardson Highway, right near the view of the Matanuska Glacier. If you are lucky enough to have the owner serve you lunch, you will have the choice of getting the dessert first. I was at first taken aback, but the lady was an Alaskan, and I figured she knew what she was talking about. Alaskans often do. It was a fantastic lunch, with the best cream pie I ever had, followed by a grilled cheese sandwich. On the way back from the Park to Anchorage, I had a late lunch, because I wasn’t going to eat anywhere else. I ordered the pie first and the grilled cheese second. Granted, my lunch was not a big ticket item, but I was one customer who came back, because of how I was served. I saw four national parks on that trip, and they were beautiful, as I expected they would be. 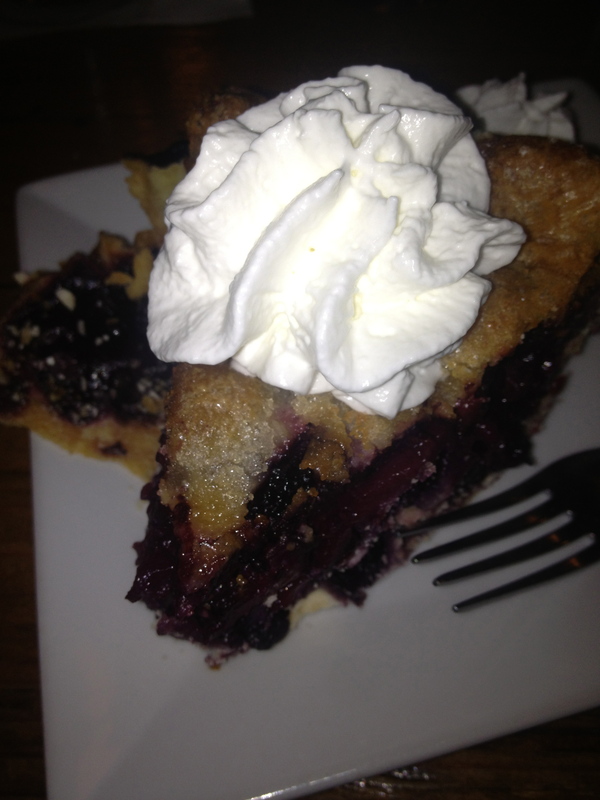 What I didn’t expect was to ever eat dessert first….and enjoy it. Normally, I don’t partake in pleasantries, which I have been trying to change for years. In this instance, however, “How are you?” was ludicrous. It ranks with a customer service person not helping you, and then ending the conversation with “Have a nice day.” Do people realize what they are saying? The previous day, the same individual, from the cable company, had failed to show for an appointment to look at the wiring at my house and tell me what I needed to do to get service. This was electrical science, not rocket science. One hundred five minutes after the agreed upon appointment, a voicemail was left on my phone. At the time, I had long since given up and did not have my phone with me. Apparently, this individual didn’t have his phone either, at the time of the appointment, or he could have used it to call me earlier in the afternoon to cancel or to change the time, something in my era that required a land line and knowledge of where all the pay phones in one’s city were located. I thought it ironic that a man from the communication industry couldn’t make a simple call. We agreed to meet the next day at 1. At 2, still waiting, I called him, with the above exchange. He eventually appeared, told me about his vacation (to watch a football game) and eventually set up the service, although he didn’t stay around long enough to make sure it worked. It didn’t, although I was eventually able to fix the problem myself. If you can’t keep an appointment, tell the customer immediately, apologize, don’t offer excuses, especially that you were on vacation (many people these days can’t afford them or are taking an unplanned, unpaid one), and had extra work. Your family is interested in excuses; your customers are not. We are interested in an apology and a new, early, convenient appointment. If you miss a second appointment, you are in trouble. You begin the conversation with “I am so embarrassed, and if I can still convince you I will show up, I will give you a month’s of service free.” That is an apology and use of a term called “recovery,” which was shown to me by the motel clerk in Anchorage, after I slept on the floor in the airport because they had given my reservation to another Michael Smith. I got two nights in a large suite at half price. Unfortunately, the night “sleeping” on the floor was not refundable. You are so in trouble, that you need to drop everything and serve that customer. That means you don’t call ten minutes later and check where the customer lives, especially since you have a computer-phone which can give you that information as well as even substitute for a pay phone. You make it certain that you have your phone with you at all times, especially if you are in the–uhhh communications industry, so if your boss calls you unexpectedly, you make sure that your customers are aware if there will be a delay. If your boss objects to that, find a new line of work or a new boss. I read body language well, and it was clear the cable guy either wanted to leave or needed to use my toilet. I’m not sure I ever did it right, but I have had doctors who were incredibly busy but made me feel they had all the time in the world for me. Those people are worth a great deal. Find them. In this city, to which my wife and I travel frequently, we eat almost exclusively at a certain restaurant. After a while, not only did they give us “a little extra” or “try this and see what you think,” great business practice, the owner, a woman, remembered us, despite our sometimes having been absent for months. That is impressive; if you have that skill, you need to tell any potential employer you have it. People like to be remembered. Why would we eat anywhere else? I was recently at this restaurant, this time alone. Unfortunately, the owner was away on vacation, and there was a fill in staff. The food was great, but the place wasn’t the same. I still left a large tip, because these days tips matter a great deal to people. The next night, however, was different, maybe even a disaster. As I entered, I noted many cars parked outside. There was a large group in one room. I sat down and immediately ordered, not because I knew there would be a wait, but because I knew what I wanted. Fifteen minutes later, the woman across from me asked if anybody was going to serve her. This was a bad sign. Ten minutes later, I was told by one waitress there was a group of 14, and the kitchen was getting “slammed.” There was an apology, but the lady still not had her order taken. Fifteen minutes later, and fifteen minutes before I was going to leave, my food came, slid to me by the server, without one of the side dishes I particularly like. I had to go up front to request that side dish, and when it arrived, it was again slid about a meter across the table to me by a hurried waiter. Simultaneously, a table of 5 was getting special treatment by one server. It was an elderly lady’s birthday, but I wished that they could have just ordered the dessert a little faster. The lady across from me was now saying people who had come in behind her were getting served. I finished as fast as I could and left. I did leave a tip, less than I normally do, and left. This restaurant was too busy that night. The lady across from me will never go there again, UNLESS there is recovery and her meal is free. That would likely bring her back at least for another try. Is a free meal worth it? I think so. The next night I returned. Within 30 seconds of sitting down, I had my order taken and the side dish was at the table. I had a good meal and left a good tip. On the way out, I did talk to one server I knew. I told her that had the restaurant told people there would be a 15 minute wait, they likely would not have had so much difficulty. People are willing to wait to be seated, so long as the wait time is reasonable. What people don’t like is be put at a table and forgotten. Once a customer is seated, the process has to begin. The server thought I had a good idea. This isn’t even electrical science. The following night, at a different restaurant, I got prompt service, but the menu was stained with food, and I received an “is everything OK?” called to me from about 10 meters. To be fair, I was the only one in the restaurant, so maybe that was fine. It seemed a little tacky, however. The bill came with a feature that costs the restaurant industry millions in lost revenue every year: Nobody asked me, “Would you be interested in looking at our dessert menu? We have some interesting choices.” I’m thin for my age, and on this particular day, I was hungry. I paid the bill, left a better tip than deserved, and left. You can bet the lady running the restaurant in the Alaskan hinterland wouldn’t have forgotten the dessert. This entry was posted on October 13, 2013 at 18:35 and is filed under ALASKA TRIPS, GENERAL STUFF. You can follow any responses to this entry through the RSS 2.0 feed. You can leave a response, or trackback from your own site.